With the increase in ownership of mobile devices including smartphones and tablets, consider how to integrate mobile into your marketing strategy. While your audience may not be as tech savvy as you are, don’t underestimate their desire to seek your business on a mobile device even if it’s a B2B offering. In his presentation at BlogWorld Expo New York, Jason Falls demonstrated that what was important was to understand how your target market used mobile to gather information. Here are three marketing questions to get your mobile plans on track. Should I send mobile text messages? 8 trillion text messages were sent, globally. While an SMS message has a limit of 160 characters, it can reach anyone with any kind of a mobile phone. Further, while it requires strong copywriting, it doesn’t need graphics. If you don’t have a file of prospects and customers’ mobile numbers with permission to contact them, now’s the time to start collecting. Stand in your visitors’ shoes. If they’re using a smartphone to access your site, they’re probably on-the-go or have been prompted to search for your organization. This means they want a quick answer that’s easy-to-find. 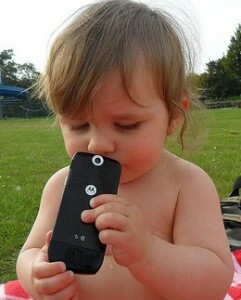 8% of web hits worldwide are from mobile phones. In the US, 25% of mobile Web users are mobile-only. Further, since 80% of this traffic will leave if your website isn’t optimized for mobile and users need to scroll and search hard for the information they want, this makes a good case for having a mobile-friendly website. Further, understand mobile devices can provide additional content and website support for other traditional forms of advertising. Based on Google’s “Our Mobile Planet” research reported in eMarketer, roughly two-thirds of respondents checked on a mobile device after seeing a television ad. Alternatively you can create your website using responsive design that adjusts the content presentation based on the device (computer, smartphone or tablet.) Think less is more with larger buttons and no scrolling. 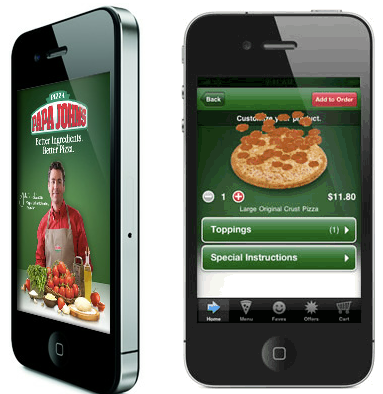 For example, Papa Johns limits mobile users’ options to order delivery, order carryout, find a store and promotional offers. Should I build a mobile app? While mobile website and mobile app usage is roughly the same level in the US, it’s a good idea to see how your audience likes to engage via mobile because one quarter of mobile apps downloaded are only used once. Using an app means finding the app, downloading it and then finding it when you need it. This provides opportunities to loose your audience at each step. Therefore, find out what proportion of your audience who use mobile apps, what they use them for, and what type of phone they use. Once you know your audience is interested, create targeted mobile apps. Give people who download your app real value, not just another way to bombard them with your promotions. Jason Falls recommends using mobile apps for complimentary or supplementary content. 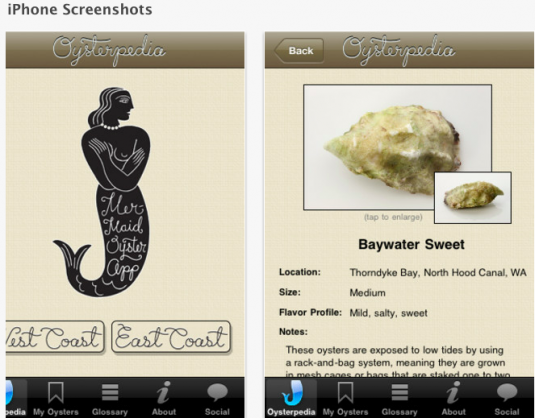 For example, The Mermaid Oyster Bar, a NYC restaurant, offers Oysterpedia, an encyclopedia on the types of oysters with integrated social media functionality. This content marketing helps keeps your brand top of mind. Also, consider how your audience uses your products and what do they do on-the-go? For example, Walgreens helps consumers with its pill reminder, the ability to get refills by scanning the label and a shopping list. As a marketer, using text messages and having a mobile website are important, especially if you’ve got a local retail presence (including restaurants, hotels and other real world locations). By contrast, mobile apps depend on your audience’s behavior and your ability to deliver useful, relevant content. What’s your experience been with mobile marketing? Note: This article was inspired by Jason Falls’ BlogWorld Expo presentation. 7 Reasons you need mobile marketing now! Tags blogworld expo, Jason Falls, Research. Bookmark the permalink.